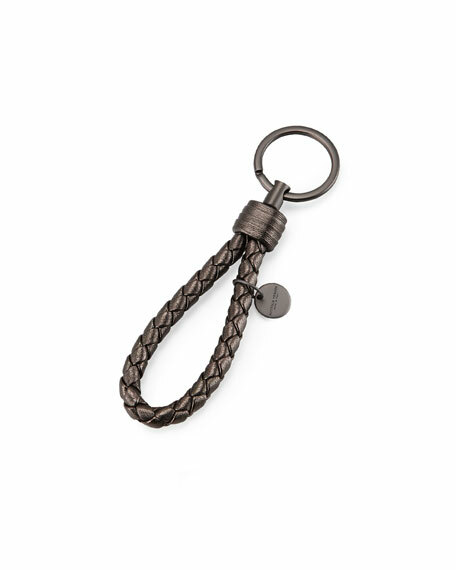 Intrecciato braided grosgrain leather key ring by Bottega Veneta. 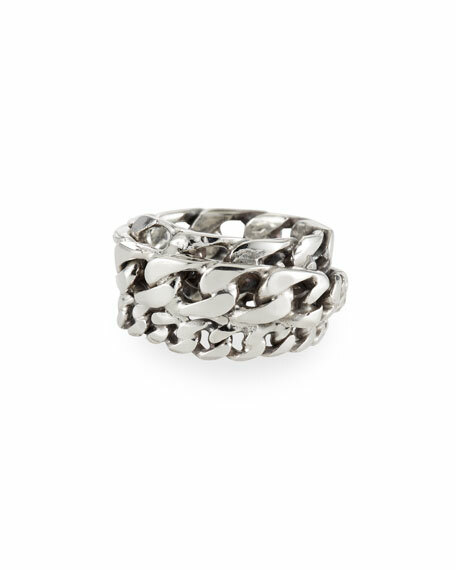 Engraved Bottega Veneta logo charm. Made in Italy of Spanish material. For in-store inquiries, use sku #172605. Balenciaga key ring in logo-print calfskin. Silvertone hardware. "Everyday" is made in Italy. Christian Louboutin red lug sole key ring. Silvertone brass hardware. Made in Italy.